1st - King of Serbia arrives at Salonika (see 15th). 1st - Yaunde (Cameroons) taken by General Dobell's forces (see September 22nd, 1915). 4th - First Attempt to relieve Kut begins: relieving force begins advance from Ali Gharbi (see 21st, and December 7th, 1915). 6th - Action of Sheikh Sa'ad begins (see 4th and 8th). 8th - Action of Sheikh Sa'ad ends. 6th - H.M.S. "King Edward VII" (below - Maritime Quest) sunk by mine off North of Scotland. 10th - Entente Governments inform Greek Government of proposed transport of Serbian Army to Corfu (see 11th and 15th). 12th - Armistice concluded between Montenegro and Austria (see 20th). 13th - Greek Government refuse consent to the occupation of Corfu (see 11th). 15th - Serbian Government transferred to Brindisi (see December 3rd, 1915, and February 9th, 1916). 15th - King of Serbia leaves Salonika (see 1st and 17th). 15th - Von Papen papers published in U.S.A. (see December 10th, 1915). 10th - Mount Lovchen (Montenegro) taken by Austrian forces. 13th - Cetinje (Montenegro) occupied by Austrian forces. 15th - First Serbian troops land at Corfu (see 10th, November 30th, 1915, and February 10th, 1916). 16th - General Sarrail assumes command of all Allied forces at Salonika (see December 14th, 1917). 11th - Russian offensive towards Erzerum begins (see February 12th). 14th - Action of the Wadi (13th/14th). 14th - Lieut.-General Sir Percy Luke appointed Commander-in-Chief, Mesopotamia (see 19th, and August 28th). 13th - Kirmanshah (West Persia) occupied by Turkish forces (see February 26th). 15th - British S.S. "Appam" captured by German raider "Moewe" (see December 26th, 1915, and February 1st, 1916). 11th - Corfu occupied by French forces (see 10th, 18th and 15th). 20th - Negotiations between Austria and Montenegro broken off. Armistice ceases (see 12th). 22nd - Rumanian Government open negotiations with Russian Government with a view to military assistance (see August 17th). 22nd - Antivari (Montenegro) occupied by Austrian forces (see March 1st, 1915, and November 4th, 1918). 23rd - Scutari (Albania) occupied by Austrian forces (see October 31st, 1918). 23rd - Podgoritza (Montenegro) occupied by Austrian forces. 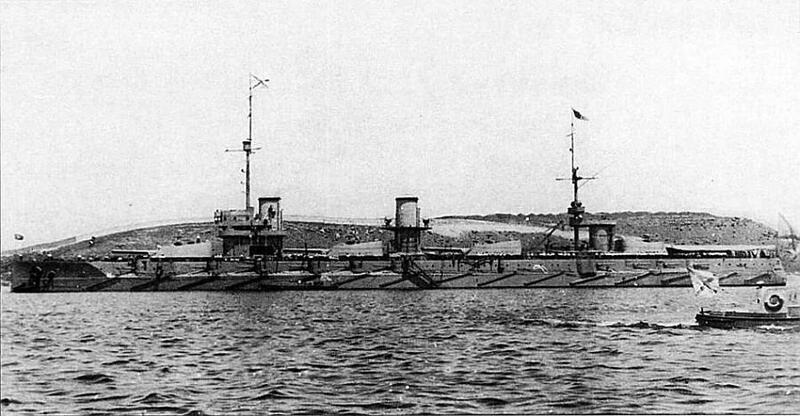 17th - Keupri-Keui (Armenia) again captured by Russian forces (see December 17, 1914). 19th - Lieut.-General Sir Percy Lake takes over command of British forces in Mesopotamia from General Nixon (see 14th, and August 28th). 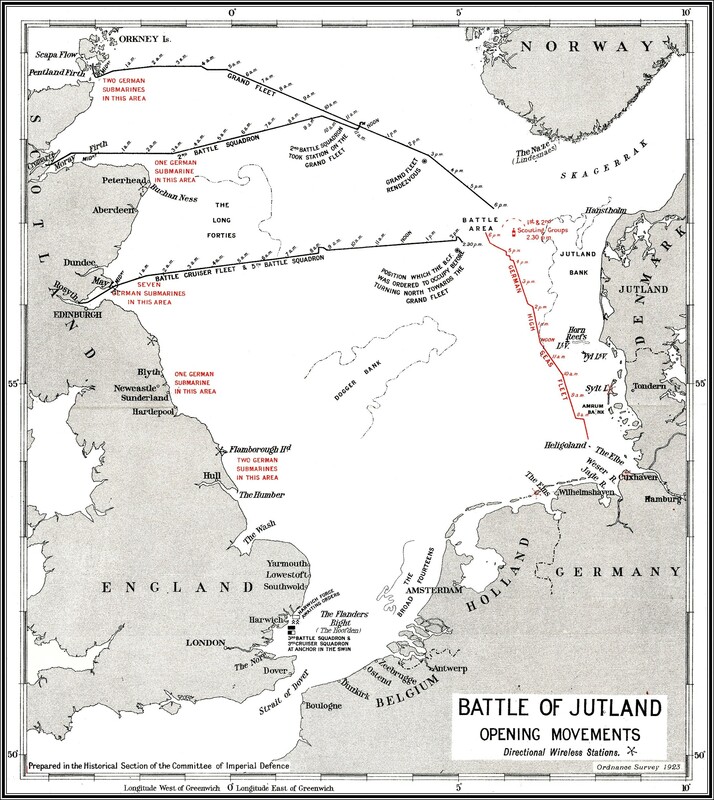 21st - First British Attack on Hanna: First Attempt to relieve Kut fails (see 4th, and March 8th). 24th - First Military Service Bill passed by British House of Commons (see February 10th). 29th - Last German airship raid on Paris (see March 21st, 1915, and September 16th, 1918). 25th - San Giovanni di Medua (Albania) captured by Austrian forces (see June 26th, 1915, and October 29th, 1918). 26th - United States Government make informal protest to British Government regarding their " Black List " policy (see December 23rd, 1915, and July 28th, 1916). 27th - Shipping Control Committee formed in Great Britain (see November 3rd and 10th, 1915, and December 22nd, 1916). 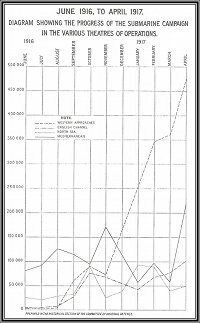 31st - Airship raid on England; furthest penetration westwards; casualties 183 (see January 19th, 1915, and August 5th, 1918). 1st - M. Goremikin, Russian Premier, resigns (date of appointment January 30th, 1914). M. Sturmer appointed successor (see July 22nd and November 24th). 2nd - German airship " L.-19 " founders in the North Sea. 2nd - Elbasan (Albania) taken by Bulgarian forces (see October 7th, 1918). 1st - British S.S. "Appam" brought to Norfolk, Va., U.S.A., by German prize crew from raider "Moewe" (see January 15th and March 4th). 13th - Entente Governments notify Greece of forthcoming transfer of Montenegrin Army to Corfu (see 16th). 10th - Military Service Act comes into operation in Great Britain (see January 24th and May 16th). 9th - Serbian Government set up at Corfu (see January 15th and May 7th). 10th - Remnant of Serbian Army concentrated at Corfu (see January 15th and April 3rd). 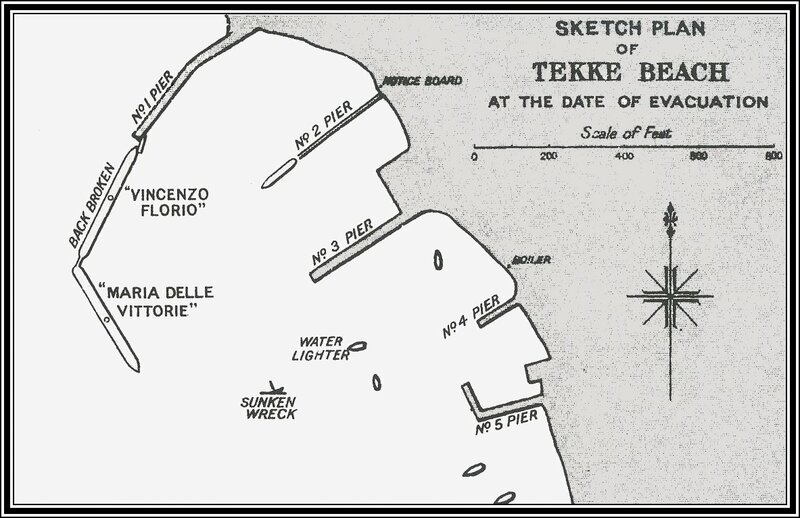 11th - Italian detachment reaches Corfu (see January 11th and 15th). 12th - Russian attack on Erzerum begins (see 16th, and January 11th). 10th - German Government send Note to United States Government stating that defensively armed merchantmen will be treated as belligerents from March 1st onwards (see 21st). 8th - British Government request naval assistance from Japan (see November 14th, 1914, and April 17th, 1917). 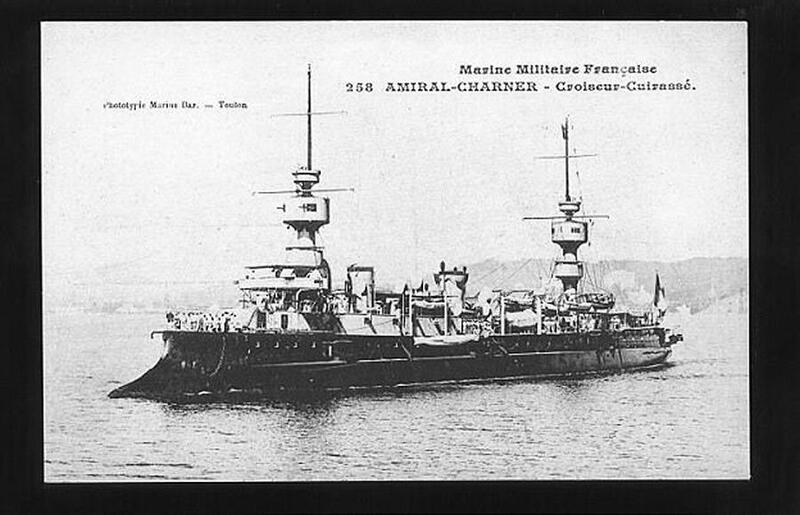 8th - French cruiser "Amiral Charner" (left - Photo Ships) sunk by submarine off Syrian coast. 11th - H.M.S. "Arethusa" (left - Navy Photos) sunk by mine in North Sea. 14th - Entente Powers make declaration guaranteeing to Belgium eventual independence and indemnification. 16th - Agreement concluded between British Government and chieftains of the Bakhtiari (Persia) for co-operation in protection of Persian oilfields. 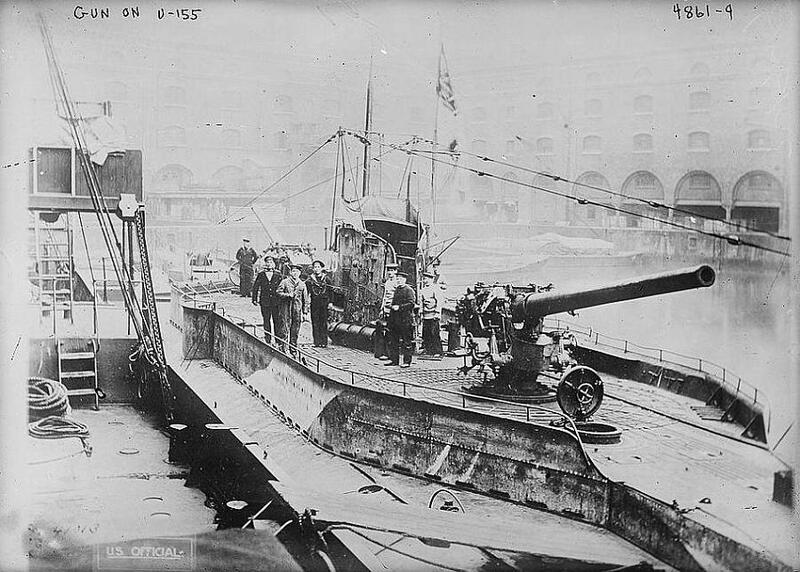 16th - War Office take over anti-aircraft defence of London from the Admiralty, and become responsible for anti-aircraft defence generally throughout the kingdom. 17th - Berat (Albania) occupied by Austrian forces (see July 10th, 1918). 16th - Fifth Battle of the Isonzo begins (see March 17th). 16th - Erzerum taken by the Russian forces (see 12th, and March 12th, 1918). 18th - Mush (Armenia) taken by Russian forces (see August 15th). 16th - War Office take over from the India Office control of operations in Mesopotamia. 17th - Last German forces in South Cameroons cross border into Spanish territory for internment (see 18th). 18th - Mora, the last German post in the Cameroons, surrenders to the British. 18th - Conquest of the Cameroons by Entente forces completed (see March 3rd). 19th - Major-General Tighe succeeded by Lieut.-General Smuts in command of British forces in East Africa (see April 16th, 1915, January 31st, 1916, and January 20th, 1917). 16th - British Order in Council extends powers of Ship Licensing Committee to all voyages (see November 10th, 1915). 16th - Remnants of Montenegrin army land at Corfu (see 13th). 17th - Chios occupied by British forces. 21st - Lieut.-General Sir H. C. Sclater, Adjutant-General, Home Forces, Great Britain, resigns (appointed April 9th, 1914) (see 22nd). 22nd Lieut.-General Sir C. F. N. Macready appointed Adjutant-General, Home Forces, Great Britain (see 21st, and August 30th, 1918). 24th - Provisional Government of Essad Pasha leaves Durazzo (see 28th, and October 4th, 1914). 21st - Battle of Verdun begins (see 25th, and August 31st). 21st - Lieut.-General Sir C. F. N. Macready, Adjutant-General, British Expeditionary Force, France, resigns (see 22nd, and August 4th, 1914). 22nd - Lieut.-General Sir G. H. Fowke appointed Adjutant-General, British Expeditionary Force, France (see 21st). 25th - Fort Douaumont (Verdun) stormed by German forces (25th/26th). (see 21st). 21st - German airship " L.Z.-77 " brought down by French gunfire at Revigny (night 21st/22nd). 27th - Durazzo captured by Austrian forces (see December 20th, 1915, and October 2nd, 1918). Fifth Battle of the Isonzo continues. 26th - Senussi defeated by British forces in Action of Agagiya (Western Egypt) (see December 13th, 1915, and February 5th, 1917). 26th - Kirmanshah (Western Persia) occupied by Russian forces (see January 13th and July 1st). 23rd - Ministry of Blockade formed in Great Britain. Lord Robert Cecil appointed Minister of Blockade (see July 18th, 1918). 21st - German Government inform United States Government that defensively armed merchantmen will henceforth be regarded as cruisers (see 10th, 29th, and February 26th, 1917). 23rd - Portugal seizes German steamers in the Tagus (see March 9th). 28th - Albanian Provisional Government of Essad Pasha set up at Naples (see 24th, and September 20th). 28th - The nucleus of a British air squadron formed to bomb German industrial centres (see June 5th, 1918). 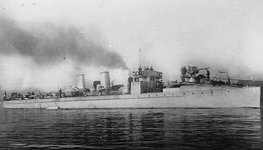 29th - Action in North Sea between German raider "Greif" and British auxiliary cruiser "Alcantara" (believed right - Photo Ships): both sunk. 29th - German Government send note to United States Government stating that it is not intended to postpone the extended submarine campaign (see 10th, 21st, and March 1st). 29th - Blockade of the Cameroons raised (see 18th, and April 23rd, 1915). 3rd - Agreement as to provisional administration of the Cameroons concluded between French and British Governments (see February 18th). 5th - Prince Firman Firma, Persian Prime Minister, resigns (see 6th, and December 25th, 1915). Mohtashim ed Douleh, Persian Foreign Minister, resigns (see 6th, and April 27th, 1915). 2nd - Bitlis (Armenia) taken by Russian forces (see August 15th). 1st - Hostilities between Sudan Government and Sultan of Darfur begin (see 16th, and December 31st). 5th - British advance on Kilimanjaro begins (see 10th and 21st). 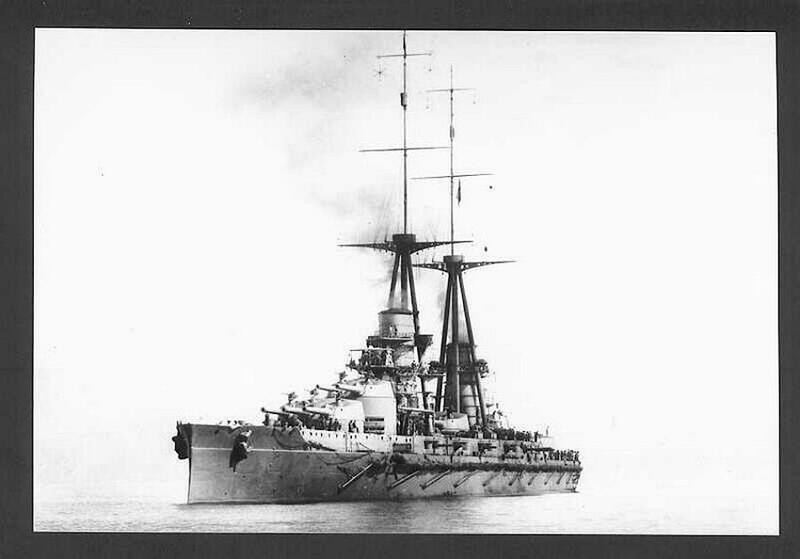 4th - German raider "Moewe" returns to Bremen (Germany) (see December 26th, 1915, and November 26th, 1916). 1st - German extended submarine campaign begins (see February 29th). 4th - Russian force landed at Atna for attack on Trebizond (see April 17th). 9th - Germany declares war on Portugal (see February 23rd). 6th - Mr. Baker appointed United States Secretary for War. 6th - Sipahsalar A'zam appointed Persian Prime Minister (see 5th, and August 29th). Sarim ed Douleh appointed Persian Foreign Minister (see 5th, and August 29th). 12th - Allied Military Conference held at Chantilly regarding a general summer offensive. 8th - Second attempt to relieve Kut: British relieving force repulsed at Dujaila Redoubt (see January 21st and April 1st). 12th - Karind (West Persia) occupied by a Russian force (later withdrawn). 10th - Taveta taken by British forces (see 5th, and August 15th, 1914). 11th - Action of Latema Nek begins (see 5th, 10th, and 12th). 12th - Action of Latema Nek ends (see 11th). 15th - Austria-Hungary severs diplomatic relations with Portugal. 15th - Austria-Hungary declares war on Portugal. 16th - General Roques succeeds General Gallieni as French Minister for War (see October 30th, 1915, and March 17th, 1917). 15th - Dr. A. Jose d'Almeida succeeds Dr. A. A. da Costa as Portuguese Premier (see November 29th, 1915, and April 25th, 1917). 18th - Battle of Lake Naroch (White Russia) begins (see April 30th). 17th - Fifth Battle of the Isonzo ends (see February 15th). 14th - Sollum (Western Egypt) reoccupied by British forces (see November 23rd, 1915). 16th - Sudan force advances from Nahud into Darfur (see 1st, and May 22nd). 13th - New Moshi taken by British forces (see 5th and 12th). 14th - Admiral von Tirpitz, German Minister of Marine, resigns (appointed in 1897) (see 15th). 15th - Admiral von Capelle appointed German Minister of Marine (see 14th, and August 13th, 1918). 20th - M. Denys Cochin appointed French Under-Secretary of State for Blockade (see August 17th, 1917). 22nd - Yuan-Shih-Kai relinquishes the throne of China (see December 11th, 1915, and June 6th, 1916). Battle of Lake Naroch (White Russia) continues. 21st - Action of Kahe brings the Kilimanjaro operations to and end (see 5th). German forces retreat from Kilimanjaro area. 24th - S.S. "Sussex" (French) (below, with bow blown off - Photo Ships) torpedoed by submarine in the English Channel (see April 18th). 28th - Inter-Allied Conference in Paris (26th/28th). Declaration of Unity between Belgium, France, Great Britain, Italy, Japan. Portugal, Russia, and Serbia regarding military, economic, and diplomatic affairs, drawn up. 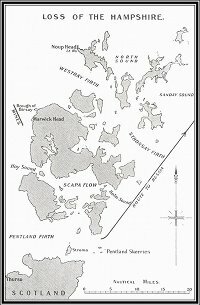 31st - German airship raid on England (east coast). Airship "L.-15" brought down by gunfire near mouth of the Thames. 30th - Russian hospital ship "Portugal" sunk by submarine in Black Sea. 1st - End of period of German mastery of the air on the Western front (Approximate date.) (see October 1st, 1915). 1st - Third Attempt to relieve Kut begins (see 5th, and March 8th). 3rd - Greek Government refuse overland route for transport of Serbian army from Corfu to Salonika (see 15th, and February 10th). 4th - General Brusilov appointed to command Russian Southern Armies (see June 4th). 6th - Russian attack on Trebizond begins (see 17th, and landing on March 4th). 5th - Action of Falahiya (see 1st and 6th). 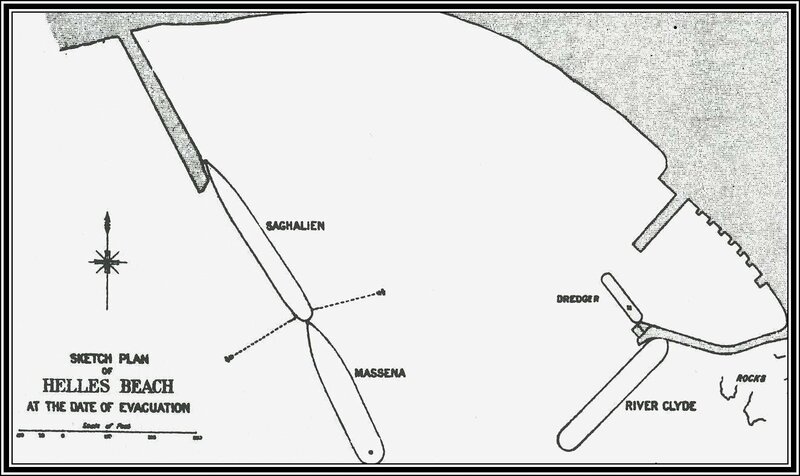 6th - First attack on Sanna-i-Yat (see 5th and 9th). 9th - Second attack on Sanna-i-Yat (see 6th and 22nd). 11th - Kionga (German East Africa) occupied by Portuguese forces. 14th - Constantinople and Adrianople attacked by aeroplanes of the Royal Naval Air Service from Mudros. 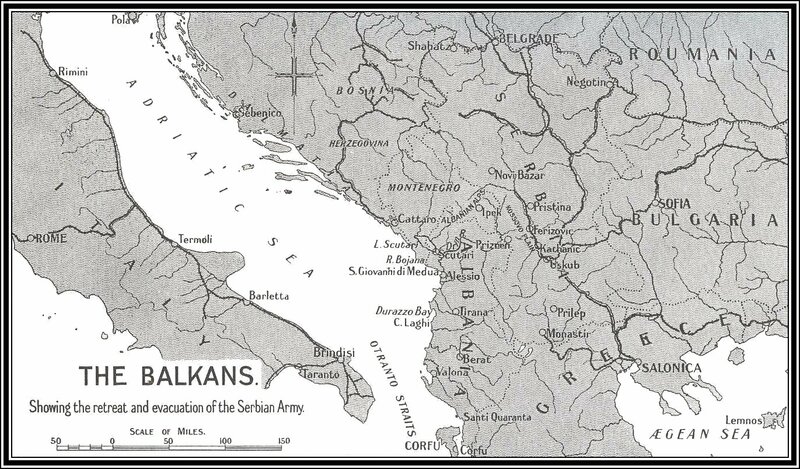 15th - Serbian Army Headquarters land at Salonika from Corfu (see 3rd). 17th - Italian Government issue decrees prohibiting trading with Germany (see March 1st, 1915). 19th - Field-Marshal von der Goltz (see December 10th, 1914, and November 24th, 1915) assassinated by an Albanian officer. 17th - Trebizond (Asia Minor) taken by Russian forces (see 6th, and February 24th, 1918). 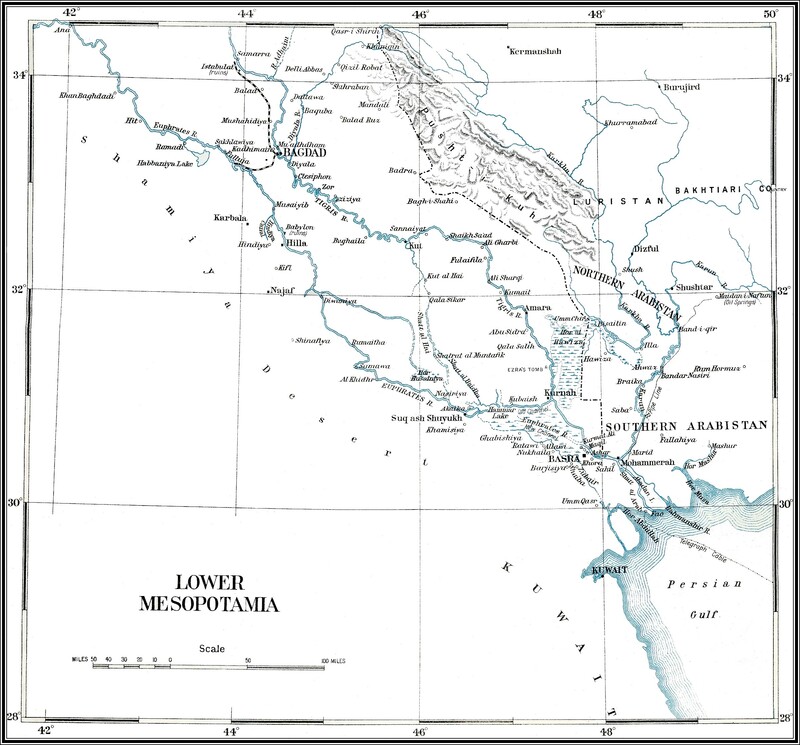 18th - Action of Bait Aissa (Mesopotamia) (17th/18th). 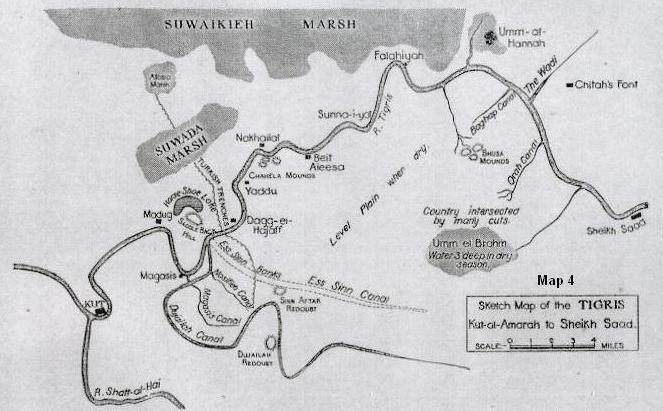 22nd - Third attack on Sanna-i-Yat repulsed (see 9th, 24th and 29th). 17th - British attack on Kondoa Irangi (German East Africa) begins (see 19th). 19th - Kondoa Irangi taken by British forces (see 17th, and June 9th). 20th - Russian troops from the Far East arrive at Marseilles (see July 30th). 18th - United States Government send note to German Government on "Sussex" case (see March 24th) and submarine policy in general (see February 10th). 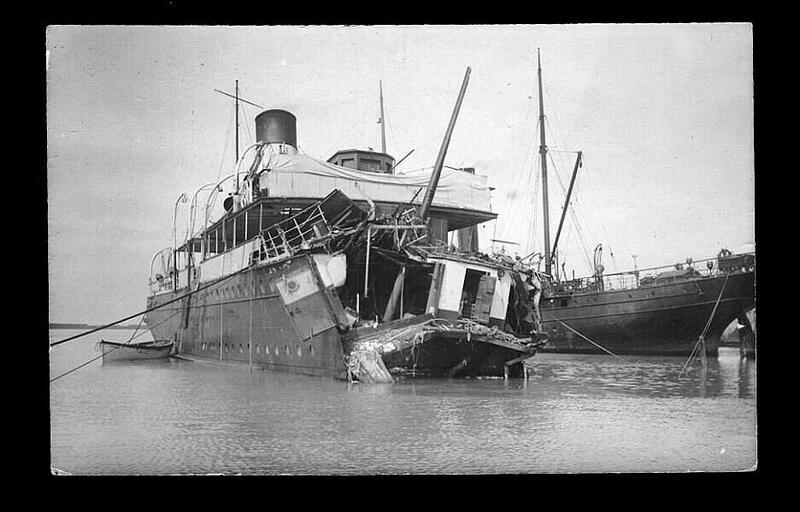 20th - Disguised German transport "Aud" sinks herself after capture while trying to land arms on Irish coast. 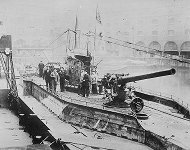 Roger Casement lands in Ireland from a German submarine and is arrested (see 24th, and August 3rd). 26th - Agreement signed at Berlin for transfer of British and German wounded and sick prisoners of war to Switzerland (see May 13th). 26th - French and Russian Governments conclude "Sykes-Picot" agreement for eventual partition of Asia Minor (see May 9th and May 23rd). 29th - "Havre Declaration" signed by France, Great Britain, Italy, Japan, and Russia guaranteeing integrity of Belgian Congo. 24th - Outbreak of Rebellion in Ireland (see May 1st). 27th - Martial law proclaimed in Dublin and the county (see 24th). 30th - Battle of Lake Naroch ends (see March 18th). 29th - Capitulation of Kut (plan below) (see 22nd, May 19th, 1916, and December 7th, 1915). 27th - H.M.S. 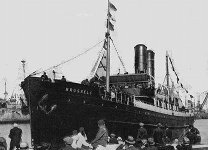 "Russell" (left - Photo Ships) sunk by mine in the Mediterranean. 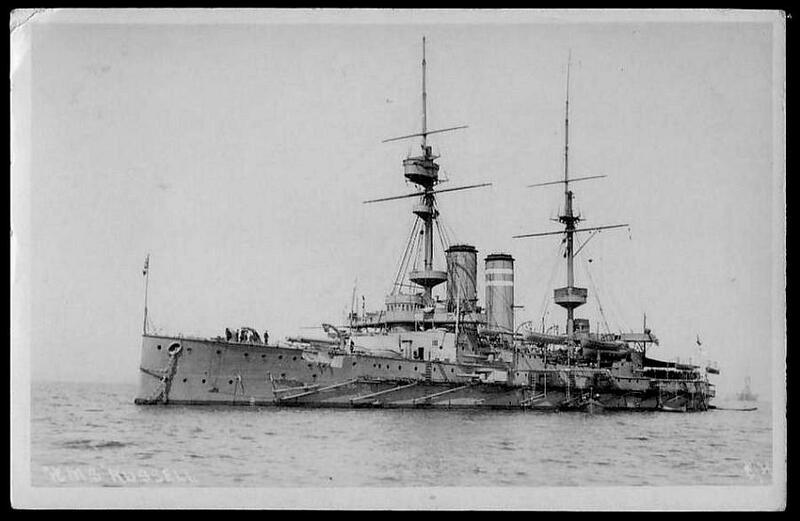 25th - Lowestoft (Suffolk) and Yarmouth (Norfolk) raided by German battle cruiser squadron (see November 26th). 7th - Serbian Government set up at Salonika (see February 9th, 1916, and December 9th, 1918). 1st - Collapse of Irish Rebellion—leaders surrender (see 3rd, and April 24th). 3rd - Three Irish rebel leaders executed (see 1st). 3rd - German airship "L.-20," returning from raid on Scotland, wrecked at Stavanger (Norway). 4th - German airship "L.-7" destroyed off the Slesvig coast. 5th - German airship "L.Z.-85" brought down by British gunfire at Salonika. 7th - Qasr-i-Shirin (Western Persia) occupied by Russian forces (see December 15th, 1915, June 20th, 1916, and March 25th, 1917). 9th - British and French Governments conclude " Sykes-Picot " agreement as to eventual partition of Asia Minor (see April 26th and May 23rd). 10th - Agreement signed at Berlin re employment of British and German prisoners of war (see 29th). 13th - Agreement signed at London for transfer of British and German wounded and sick prisoners of war to Switzerland (see April 26th, 1916, and July 2nd and September 11th, 1917). 9th - Lieut.-General Sir George Milne succeeds Lieut.-General Sir Bryan Mahon as General Officer Commanding British Forces, Salonika (see October 28th, 1915). 14th - Austrian offensive in the Trentino begins (see June 3rd). 11th - Kwash (East Persia) occupied by British forces. 16th - Agreement concluded between Great Britain and France regarding respective claims in Turkish territories (see August 18th, 1917). 16th - Second Military Service Bill extending compulsion to married men passes the British House of Commons (see 25th and February 10th). 17th - Air Board formed in Great Britain (see January 3rd, 1918). 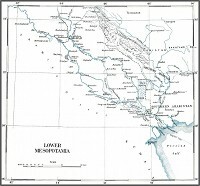 15th - Rowanduz (Northern Mesopotamia) occupied by Russian forces. 15th - Khanaqin (North-East of Baghdad) taken by Russian forces (see June 5th). 18th - Detachment of Cossacks from Russian force in West Persia effects junction with British army on the Tigris. 19th - Turkish Army evacuates the As Sinn position and withdraws to Kut (see April 29th and December 13th). 15th - Allied blockade of the Hejaz coast to assist revolt of Sherif of Mecca commenced (see June 7th). 23rd - British Government notify Russian Government of their recognition of Franco-Russian "Sykes-Picot" agreement as to eventual partition of Asia Minor (see April 26th, May 9th, and September 1st). 25th - Second Military Service Act becomes law in Great Britain (see 16th, and June 8th). 26th - Fort Rupel (Greek frontier of Macedonia) occupied by Bulgarian and German forces (see 31st). Austrian offensive in the Trentino continues. 24th - Mamakhatun (Armenia) taken by Russian forces (see 31st). 22nd - Sultan of Darfur defeated by Sudan force in affair of Beringiya (Darfur) (see 23rd, March 16th and November 6th). 23rd - El Fasher (capital of Darfur) occupied by Sudan force (see 22nd). 25th - British advance from Northern Rhodesia and Nyasaland across the frontier into German East Africa begins (see 27th). 27th - Neu Langenburg (German East Africa] occupied by British forces (see 25th). 26th - United States Government send Note to British Government protesting against search of mails. 29th - Agreement signed at London re the employment of British and German prisoners of war (see 10th). 31st - Entente Governments protest to Greece against Bulgarian occupation of Fort Rupel (see 26th). 31st - Mamakhatun retaken by Turkish forces (see 24th). 31st - First British aerial co-operation with fleet in action. 2nd - Battle of Mount Sorrel (Ypres) begins (see 13th). 2nd - Fort Vaux (Verdun) stormed by German forces (German date. The French claim a foothold till the 7th.) (see November 1st). 4th - Russian offensive ("Brusilov's Offensive") begins. The first phase of this offensive is known to the Germans as the "Battle of Wosuzka-Sereth." (see 11th, and August 17th). 3rd - Allied Commander proclaims martial law in city of Salonika (see October 3rd, 1915). 3rd - End of the main Austrian offensive in the Trentino (see 16th, and May 14th). 8th - Second Compulsory Service Act comes into operation in Great Britain (see May 25th and April 10th, 1918). 11th - Signor Salandra, Italian Premier, resigns (see 15th, and May 16th, 1915). 7th - Sherif of Mecca issues proclamation denouncing the Committee of Union and Progress and proclaiming the Independence of the Hejaz (see 5th, and October 29th). 6th - Yuan-Shih-Kai, President of China, dies (date of election October 6th, 1913). Li-Yuan-Hung elected President (see March 22nd, 1916, and July 6th, 1917). 10th - Compulsory Service Bill passed in New Zealand (see September 1st). Battle of Mount Sorrel (Ypres). 11th - Battle of the Strypa begins (see 30th). 5th - Sherif of Mecca begins revolt against Turkish rule (see 7th, 9th, and October 24th, 1915). 6th - Attack on Medina by revolting Arabs repulsed by Turkish garrison (see 5th). 9th - Jidda (Arabia) captured by Arab forces (see 5th). 10th - Turkish garrison of Mecca surrenders to the Sherif (see 5th). 5th - Turkish offensive into West Persia begins (Approximate date): Khanaqin evacuated by Russian forces (see May 15th). 8th - Bismarckburg (German East Africa) taken by British forces (see May 25th). 9th - Action of Mkaramo (on Northern Railway in German East Africa). German attack on Kondoa Irangi (East Africa) begins (see 10th, and April 19th). 10th - German attack on Kondoa Irangi repulsed (see 9th). 5th - H.M.S. "Hampshire" (left; plan - below) sunk by mine off Scottish coast. Field-Marshal Earl Kitchener and his Staff drowned (see August 6th, 1914). 6th – "Pacific blockade" of Greece by Entente Powers begins (see 22nd). 14th - Allied Economic Conference reassembles in Paris (see 27th, and June 3rd, 1915). 15th - Signor Boselli appointed Italian Prime Minister (see 11th, and October 25th, 1917). 13th - Battle of Mount Sorrel (Ypres) ends (see 2nd). "Brusilov's Offensive" continues incl Battle of the Strypa. 12th - Zaleszczyki (Galicia) taken by Russian forces (see July 30th, 1917). 17th - Czernowitz (Bukovina) reoccupied by Russian forces (see February 17th, 1915, and August 3rd, 1917). 16th - Italian counter-offensive in the Trentino begins (see 3rd and July 7th). 12th - Kirman (Persia) occupied by British forces. 21st - Greek Cabinet (Skouloudhis) resign (see November 6th, 1915). M. Zaimis forms new Ministry (see September 11th). 23rd - Fort Thiaumont (Verdun) finally stormed by German forces. Bulk of position was captured on May 23rd, and this date marks the limit of the German advance on Verdun. (see 30th). 21st - Radautz (Bukovina) taken by Russian forces. 24th - Austrian forces driven out of The Bukovina. Italian counter-offensive in the Trentino continues. 20th - Qasr-i-Shirin (West Persia) taken by Turkish forces (see May 7th, 1916, and March 25th, 1917). 19th - Handeni (German East Africa) occupied by British forces. 22nd - "Pacific blockade" of Greece suspended (see 6th). 27th - Recommendations of Allied Economic Conference ratified (see 14th). 27th - Greek Government order general demobilisation (see 21st). 30th - Fort Thiaumont (Verdun) retaken by French forces (see 23rd, and July 1st). 30th - Battle of the Strypa ends (see 11th). 30th - British Government conclude further agreement with the Netherlands Overseas Trust for rationing of Holland (see November 23rd, 1915). 1st - Battles of the Somme, 1916, begin with Battle of Albert, 1916 (1st/13th) (see November 18th). 1st - Contact patrol, or liaison with infantry, first instituted in the Royal Flying Corps. 2nd - Battle of Baranovichi begins (see 9th). 1st - Kirmanshah reoccupied by Turkish forces (see February 26th, 1916, and March 11th, 1917). 3rd - Russian and Japanese Governments conclude treaty with regard to future policy in the Far East. 7th - Mr. Lloyd George succeeds Lord Kitchener as Secretary of State for War, Great Britain (see June 5th and December 11th). Battles of the Somme, 1916. 9th - Battle of Baranovichi ends (see 2nd). 7th - Italian counter-offensive in the Trentino ends (see June 16th). 7th - Tanga (German East Africa) occupied by British forces (see November 5th, 1914). 7th - British Government issue Order in Council rescinding Declaration of London of 1909. French Government issue similar order (see October 29th, 1914, and November 6th, 1914). 14th - Inter-Allied Conference, on finance held in London (14th/15th). 14th - Battle of Bazentin Bidge (Somme) begins (see 17th). 15th - Battle of Delville Wood (Somme) begins (see September 3rd). 12th - Mamakhatun (Armenia) again taken by Russian forces (see May 31st). 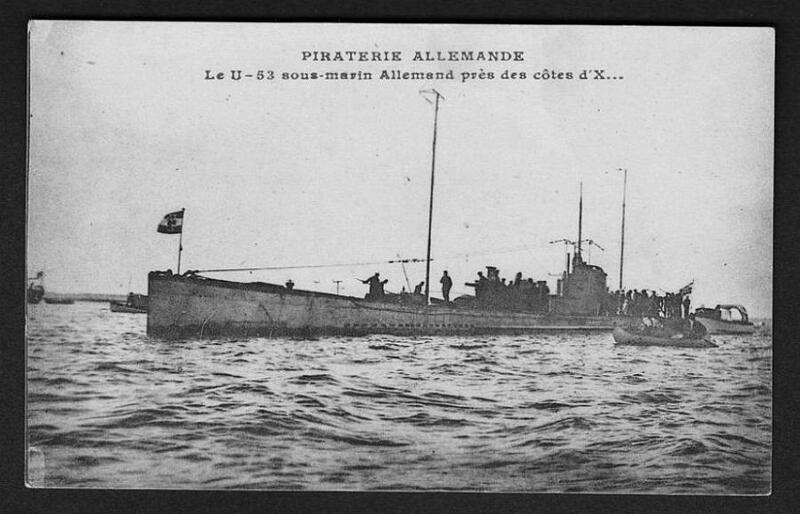 10th - German commercial submarine "Deutschland" (below, in later naval service) arrives at Norfolk (Va.), from Bremen (set August 23rd). 10th - Russian hospital ship "Vpered" sunk by submarine in the Black Sea. 11th - Seaham harbour (on coast of Durham) shelled by German submarine. 18th - Treaty with Ibn Sa'ud, Emir of Nejd, ratified by British Government (see December 26th, 1915). 22nd - M. Sazonov, Russian Foreign Minister, resigns (appointed in 1910) and is succeeded by M. Sturmer (see February 1st and November 24th). 17th - Battle of Bazentin Ridge (Somme) ends (see 14th). 23rd - Battle of Pozieres Ridge (Somme) begins (see September 3rd). 19th - Turkish offensive from Oghratina against the Suez Canal begins (see August 4th). 30th - First aerial operations carried out, by combined French and British air services on French Western front. 25th - Reconstituted Serbian army comes into action on Salonika front (see April 15th). 27th - Yenbo, port of Medina, surrenders to Arab forces (see June 5th). 28th - United States Government formally protest to British Government against " Black List " policy (see October 22nd, 1914, December 23rd, 1915, and January 26th, 1916). 29th - German Government send Note to United States Government rejecting British offer to permit passage of foodstuffs to Poland from United States of America. 30th - Russian troops from France land at Salonika and join Allied force (see April 20th). 27th - Captain Fryatt, of British S.S. "Brussels," (left) shot by order of a German court-martial in Belgium. 31st - Kilimatinde (German East Africa) taken by British forces. 3rd - Roger Casement executed (see April 20th). 6th - Battle of Gorizia (6th Battle of the Isonzo) begins (see 17th). 4th - Battle of Rumani (Sinai) (4th/5th) (see July 19th). 3rd - Ujiji, on Lake Tanganyika (German East Africa), occupied by Belgian forces. 5th - Advance of main body of British force in East Africa through the Nguru Hills begins (see 11th). 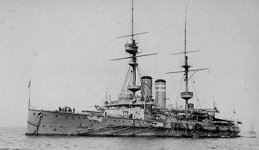 2nd - Italian Dreadnought "Leonardo da Vinci" (below - Photo Ships) sunk by internal explosion in harbour at Taranto. 8th - Portuguese Government decide to extend military co-operation to Europe, (see November 23rd, 1914, December 4th, 1914, and January 3rd, 1917). 10th - Stanislau again taken by Russian forces (see June 8th, 1915, and July 24th, 1917). Battle of Doiran (South Serbia) continues. 6th Battle of the Isonzo continues. 9th - Gorizia taken by Italian forces (see 6th). 10th - Hamadan (Western Persia) taken by Turkish forces (Approximate date.) 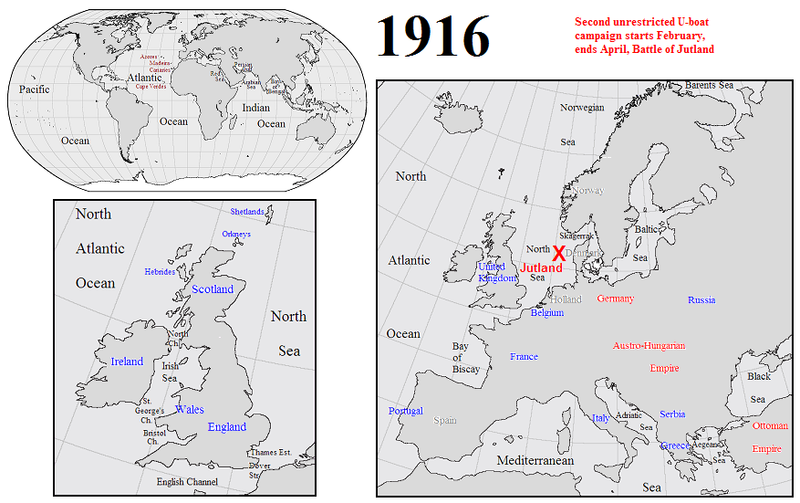 (see December 14th, 1916, and March 2nd, 1917). 11th - Mpwapwa (German East Africa) occupied by British forces (see 5th). 12th - Italian troops land at Salonika and join Allied force (see October 3rd, 1915, and July 30th, 1916). 17th - Rumanian Government conclude agreement with Entente Powers regarding intervention (see 27th, and January 22nd). 17th - Military convention signed at Bukharest between Entente Powers and Rumania. 17th - End of "Brusilov's Offensive" (Approximate date.) (see June 4th). 17th - Battle of Florina (Macedonia) begins (see 19th). 19th - Battle of Florina (German name and dates) ends (see 17th). 17th - Battle of Gorizia (6th Battle of the Isonzo) ends (see 6th). 15th - Mush and Bitlis (Armenia) reoccupied by Turkish forces (see 24th, February 18th and March 2nd). 19th - H.M.S. "Falmouth" (below - CyberHeritage/Terry Phillips) and "Nottingham" sunk by submarine in North Sea. 24th - Anglo-French Conference on finance held at Calais. 27th - Rumanian Government order mobilisation, and declare war on Austria-Hungary (see 17th and 28th). 25th - Russian forces cross the Danube into the Dobrudja to assist the Rumanian forces (see 17th, 27th, and September 2nd). 23rd - Battle of Payat (Armenia). 24th - Bitlis and Mush (Armenia) again taken by Russian forces (see 15th, and April 30th, 1917). 22nd - Kilosa (German East Africa) taken by British forces. 26th - Morogoro (German East Africa) taken by British forces. 23rd - German commercial submarine "Deutschland" returns to Germany (see July 10th). 28th - Germany declares war on Rumania (see 27th). 28th - Italy declares war on Germany (see May 24th, 1915). 30th - Turkey declares war on Rumania (see 28th). 30th - Rumania severs diplomatic relations with Bulgaria (see September 1st). 29th - Field-Marshal von Hindenburg succeeds General von Falkenhayn as Chief of the General Staff of the German Field Armies (see September 14th and November 27th, 1914), with General von Ludendorff as Chief Quartermaster-General (see October 27th, 1918). Battles of the Somme, 1916 continue. 31st - Battle of Verdun ends. This is the French date for the close of ''The Defensive Battle of Verdun." The German list carries the battle up to September 9th. (see February 21st). 28th - Rumanian forces cross Hungarian frontier and invade Transylvania (see 27th). 29th - Brasov (Transylvania) occupied by Rumanian forces (see 28th, and October 7th). 30th - Venizelist revolt in Salonika (see September 25th and October 9th). 28th - General Sir Stanley Maude succeeds Lieut.-General Sir Percy Lake as Commander-in-Chief, Mesopotamia (see January 19th, and November 18th, 1917). 29th - Iringa (German East Africa) taken by British forces. 1st - Bulgaria declares war on Rumania (see August 30th). 1st - Russian and British Governments conclude " Sykes-Picot " agreement as to eventual partition of Asia Minor (see April 26th, and May 9th and 23rd). 1st - Compulsory Military Service Bill in New Zealand comes into operation (see June 10th). 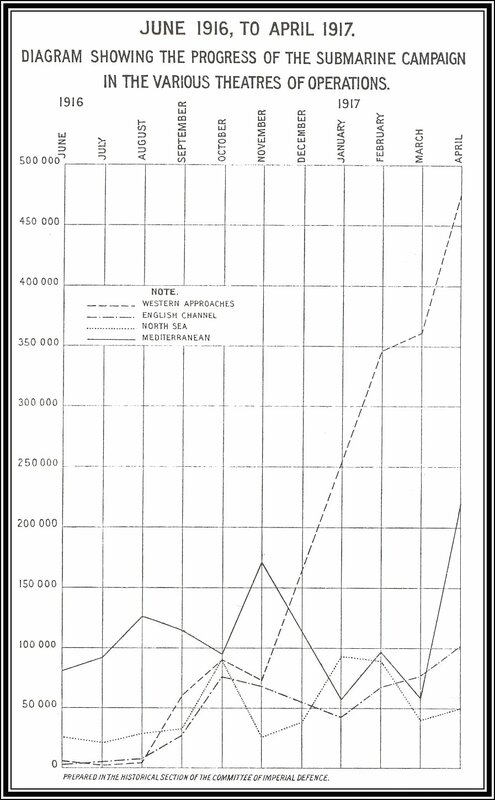 3rd - Battle of Guillemont (Somme) begins (see 6th). 3rd - Battles of Delville Wood and Pozieres (Somme) end (see July 15th and 23rd). 2nd - German raid by fourteen airships (greatest number to attack simultaneously) on London and other parts of England. Airship " S.L.-11 " destroyed by aeroplane at Cuffley (night 2nd/3rd). 1st - Sibiu (Transylvania) taken by Rumanian forces (see 26th). 2nd - German and Bulgarian forces invade the Dobrudja (see August 25th, 1916, January 6th, 1917, and December 3rd, 1918). 2nd - German ships in Piraeus harbour seized by the Allies. 6th - Battle of Guillemont (Somme) ends (see 3rd). 9th - Battle of Ginchy (Somme). 6th - Tutrakan (Dobrudja) taken by Bulgarian forces (see 2nd). 8th - Orsova (Hungary) occupied by Rumanian forces (see August 28th and November 22nd). 10th - Silistra (Dobrudja) taken by German and Bulgarian forces (see 2nd). 4th - Dar es Salaam (German East Africa - plan, left) surrenders to British forces (see August 8th, 1914). 7th - Kilwa, on East African coast, occupied by British naval forces. 11th - M. Zaimis, Greek Premier, resigns (see 16th, and June 21st). 16th - M. Kalogeropoulos forms new Greek Ministry (see 11th, and October 3rd). 15th - Battle of Flers-Courcelette (Somme) begins (see 22nd). "Tanks" in action for the first time (see July 28th, 1917). 15th - Aeroplane co-operation with tanks instituted by the British Air Force. 14th - Seventh Battle of the Isonzo begins (see 18th). 17th - Lindi, on East African coast, occupied by British naval forces. 20th - Albanian Government of Essad Pasha set up in Salonika (see February 28th). 22nd - Battle of Flers-Courcelette (Somme) ends (see 15th). 23rd - Airship raid on England (East Coast and London) involving serious casualties (170, mostly civilian); "L.-32" destroyed by aeroplane at Billericay ; "L.-33" brought down by gunfire in Essex (night 23rd/24th). 24th - Krupp works at Essen bombed by French aeroplanes. 18th - Greek IVth Army Corps at Kavala surrenders voluntarily to German forces. 18th - Seventh Battle of the Isonzo ends (see 14th). 22nd - Turkish garrison of Taif (Hejaz) surrenders to Arab forces (see June 5th). 19th - Tabora (capital of German East Africa) occupied by Belgian forces. 19th - Allies commence blockade of Greek Macedonian coast from mouth of the Struma to mouth of the Mesta (see December 15th, 1915). 25th - M. Venizelos withdraws from Athens (see 29th, and August 30th). 29th - M. Venizelos and Admiral Condouriotis announce formation of Greek Provisional Government in Crete in opposition to the Government at Athens (see December 19th). 25th - Battle of Morval (Somme) begins (see 28th). 26th - Battle of Thiepval Ridge (Somme) begins (see 28th). 28th - Battles of Morval and Thiepval Ridge end (see 25th and 26th). 26th - Battle of Sibiu (Transylvania) begins (see 29th). 29th - Battle of Sibiu ends: city retaken by Austrian forces (see 1st and 26th). 1st - Battle of the Transloy Ridges (Somme) begins (see 18th). 1st - Battle of the Ancre Heights (Somme) begins (sec November 11th). 1st - German airship "L.-31" destroyed by aeroplane at Potter's Bar, near London (night 1st/2nd). 3rd - Greek Cabinet (Kalogeropoulos) resign (see 10th, and September 16th). 7th - Battle of Brasov (Transylvania) (7th/9th): city retaken by Austro-German forces (see August 29th). 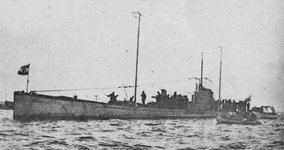 8th - German submarine "U.-53" (below - Photo Ships) captures and destroys five ships outside Newport, Rhode Island, U.S.A.
10th - Professor Lambros forms new Greek Ministry (see 3rd, September 29th, 1916, and May 3rd, 1917). Battles of the Somme, 1916, continue. 14th - Transylvanian frontier of Rumania crossed by German forces (see August 28th and September 29th). Battle of the Cerna and Monastir continues. 9th - Eighth Battle of the Isonzo begins (see 12th). 12th - Eighth Battle of the Isonzo ends (see 9th). 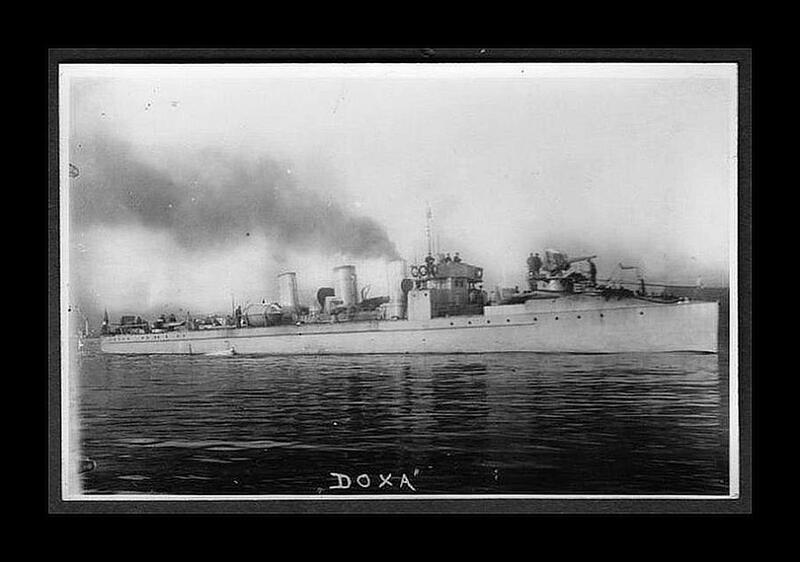 10th - Entente Governments send ultimatum to Greek Government demanding surrender of the Greek fleet (below, including destroyer "Doxa" - Photo Ships) (see 11th). 11th - Greek Government accept Entente demands (see 10th). 13th - Norwegian Government issue orders prohibiting belligerent submarines from using Norwegian territorial waters (see February 1st, 1917). 20th - Anglo-French Conference held at Calais to discuss Greek participation in the war. 21st - Count Sturgkh, Austrian Premier, murdered (appointed Premier November 3rd, 1911) (see 28th). 18th - Battle of the Transloy Ridges (Somme) ends (see 1st). 22nd - Constanza (Dobrudja) captured by German and Bulgarian forces. 17th - Affairs in the Dakhla Oasis (West Egypt) begin (see 22nd). 22nd - Affairs in the Dakhla Oasis end (see 17th). 20th - Russian battleship "Imperatritsa Mariya" (below - Photo Ships) destroyed by internal explosion at Sevastopol. 30th - Lieut.-General von Stein succeeds Lieut.-General Wild von Hohenborn as German Minister for War (see January 21st, 1915, and October 9th, 1918). 28th - Dr. E. von Korber appointed Austrian Premier (see 21st, and December 14th). 29th - Sherif of Mecca proclaimed "King of the Arabs" (see June 7th and November 4th). 24th - "First Offensive Battle" of Verdun (French name and date) begins (see December 18th). Fort Douaumont recaptured by French forces (see February 25th, August 31st, and November 1st). 25th - Cernavoda (Dobrudja) captured by Bulgarian forces (see 22nd). 28th - British hospital ship "Galeka" (see H.S. 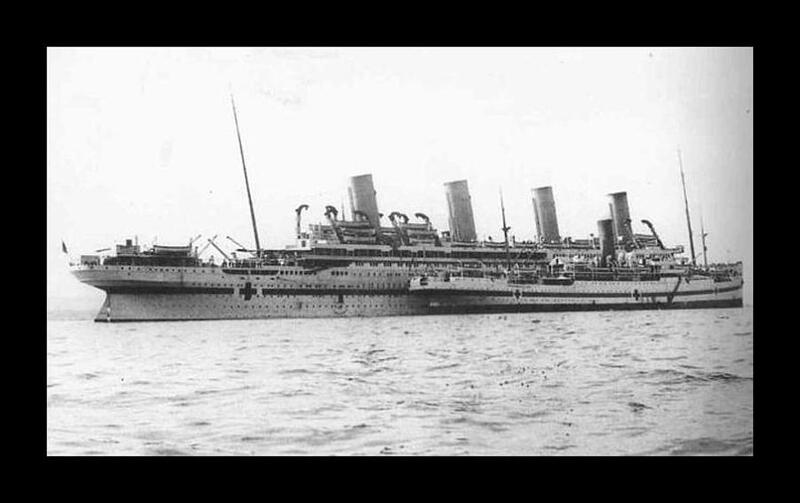 "Britannic" below) totally wrecked by mine off Havre. 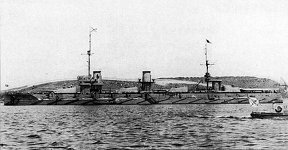 26th - First German destroyer raid in Dover Straits (night 26th/27th) (see April 20th, 1917). "First Offensive Battle" of Verdun. 31st - Ninth Battle of the Isonzo begins (see November 4th). 5th - Germany and Austria proclaim an "Independent State of Poland" (see April 3rd, 1915, and March 30th, 1917). 4th - Coronation of the "King of the Arabs" at Mecca (see October 29th and December 15th). 1st - Fort Vaux (Verdun) recaptured by French forces (see June 2nd). 4th - Ninth Battle of the Isonzo ends (see October 31st). 7th - Mr. Wilson re-elected President of the United States. 11th - Battle of the Ancre Heights (Somme) ends (see October 1st). 12th - Shiraz (South Persia) occupied by British forces. 6th - Affair of Gyuba (Darfur). Forces of Ali Dinar, ex-Sultan of Darfur, defeated by Sudan force. Ali Dinar killed (see May 22nd). 19th - Entente Governments demand dismissal of Ministers of Central Powers at Athens and surrender of Greek military material (see December 1st). "First Offensive Battle" of Verdun continues. 13th - Battle of the Ancre, 1916, begins (see 18th): Beaumont-Hamel stormed by British forces. 18th - Battle of the Ancre, 1916, ends (see 13th), and Battles of the Somme, 1916, end (see July 1st, 1916, March 14th and April 5th, 1917, and March 21st, 1918). 16th - Battle of Targa-Jiu, Rumania (16th/17th). 19th - Monastir (Serbia) captured by Allied forces (see October 5th, 1916, and December 2nd, 1915). 15th - British advance into Sinai begins (see December 21st). 15th - Third Affair of Hafiz Kor (North-West Frontier of India). 23rd - Greek Provisional Government (M. Venizelos) at Salonika declare war on Germany and Bulgaria (see September 29th, 1916, and June 27th, 1917). 20th - Herr von Jagow, German Foreign Minister, resigns (appointed January 1913) (see 21st). 21st - Dr. Artur Zimmermann appointed German Foreign Minister (see 20th, and July 15th, 1917). 21st - Emperor Francis Joseph of Austria dies. Archduke Karl succeeds to the throne. 24th - M. Sturmer, Russian Premier and Foreign Minister, resigns, and is succeeded by M. Trepov as Premier (see February 1st, July 22nd, and December 2nd and 12th, 1916, and January 8th, 1917). 25th - The German air forces established as a separate branch of the German army. 21st - Craiova (Rumania) taken by German forces. 22nd - Orsova (Hungary) taken by Austro-German forces (see September 8th). 23rd - Mackensen's army effects passage of the Danube at Islaz and Simnitza. 22nd - German commerce raider "Seeadler" leaves Germany (approximate date.) (see August 2nd, 1917). 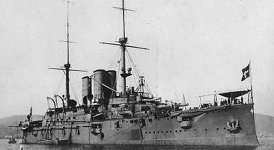 26th - German raider "Moewe" sails from Kiel on second cruise (see March 4th, 1916, and March 22nd, 1917). 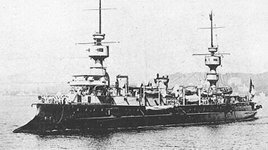 26th - French battleship "Suffren" (left) sunk by submarine in the Bay of Biscay. 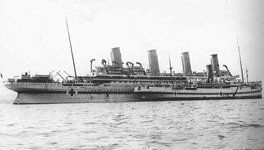 21st - British hospital ship "Britannic" (left) sunk by mine in Aegean Sea. 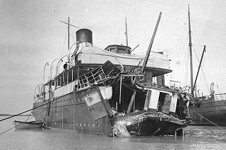 23rd - British hospital ship "Braemar Castle" damaged and beached in Aegean Sea—probably mined. 26th - Second German naval raid on Lowestoft (see April 25th). 27th - German airship raid on East coast of England: airship "L.-34" destroyed by aeroplane off Hartlepool, and "L.-21" destroyed by aeroplane off Yarmouth (night 27th/28th). 28th - First German daylight aeroplane raid on London (by single aeroplane) (see December 21st, 1914, and May 7th, June 13th and July 7th, 1917). 29th - Admiral Sir David Beatty appointed to succeed Admiral Sir John Jellicoe as Commander-in-Chief, Grand Fleet (see December 4th). 30th - Allied forces landed at the Piraeus (see December 1st). 1st - Greek Government refuse Entente demands (see November 19th). 2nd - Russian Premier (M. Trepov) announces that the Allies have acknowledged Russia's right to Constantinople and the Straits (see March 12th and April 12th, 1915). 1st - Last meeting of War Committee of British Cabinet (see 9th, and November 3rd, 1915). 1st - Rumanian Government removed from Bucharest to Jassy (see November 30th, 1918). 1st - Battle of the Arges (Rumania) begins (see 5th). 1st - Allied forces withdrawn from Athens and the Piraeus after conflicts with Greeks (see November 30th, 1916, and January 24th, 1917). 3rd - British and French Governments conclude agreement (the "Clementel Agreement"): (1) to unite British ships in French service to those already employed ; (2) to co-ordinate Allied tonnage ; (3) to create inter-allied bureau to centralise charter of neutral shipping (see January 6th, November 3rd, and December 3rd, 1917). 3rd - Admiral Sir Henry Jackson, First Sea Lord, Great Britain, resigns (see 4th, and May 28th, 1915). 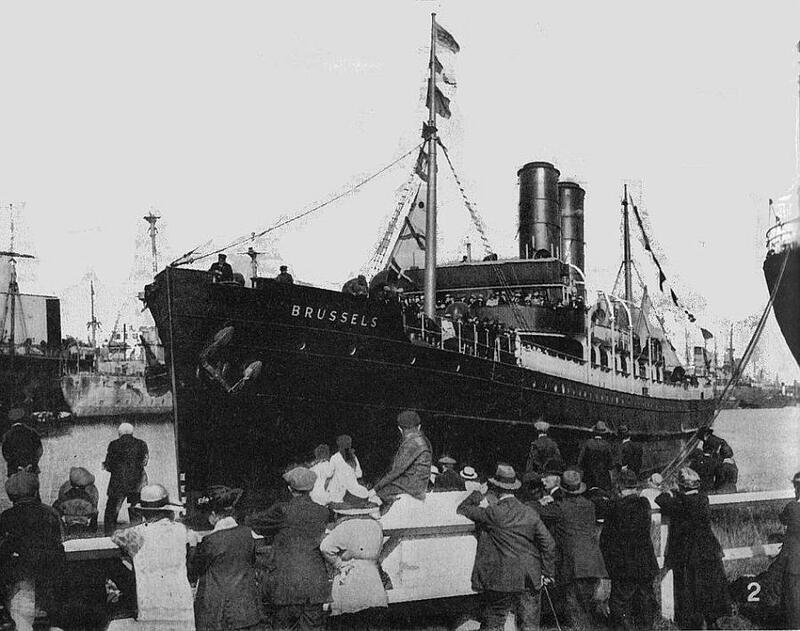 1st - German commerce raider "Wolff" leaves Germany (approximate date.) (see February 24th, 1918). 3rd - Funchal (Madeira) bombarded by German submarine (see December 12th, 1917). 4th - Mr. Asquith, British Premier, resigns (appointed April 8th, 1908). (see 7th). 7th - Mr. Lloyd George succeeds Mr. Asquith as British Premier (see 4th). 8th - Murman Railway (from Murmansk to Petrograd) declared open. 5th - Battle of the Arges (Roumania) ends (see 1st). 6th - Bukharest capitulates to the German forces (see November 30th, 1918). 6th - Massacre of Venizelists in Athens (see 1st, and November 23rd). 4th - Admiral Sir John Jellicoe appointed First Sea Lord, Great Britain (see 3rd, August 4th, 1914, November 29th, 1916 and December 20th, 1917). 7th - Entente Governments announce forthcoming blockade of Greece from December 8th (see 1st). 8th - Entente Powers begin blockade of Greece (see 7th). 11th - Allied Note presented to Greece demanding complete demobilization (see 1st and 14th). 12th - Identical Notes presented by Austro-Hungarian, Bulgarian, German, and Turkish Governments to United States Ambassadors in their respective countries requesting them to inform the Governments of the Entente Powers that the four Allied Central Powers are ready to negotiate for peace (see 30th). 14th - Entente Powers send Ultimatum to Greece; withdrawal of entire Greek Armies from Thessaly demanded (see 11th and 15th). 15th - Greek Government accept Allied Ultimatum (see 14th). 15th - British Government recognise the "King of the Arabs" as the King of the Hejaz (see November 4th). 11th - Mr. Lloyd George's Coalition Ministry formed in Great Britain (see 7th, and May 25th, 1915). Lord Derby appointed Secretary of State for War, Great Britain, in succession to Mr. Lloyd George (see September 30th, 1915, and July 7th and April 20th, 1918). Viscount Grey, British Secretary for Foreign Affairs, resigns (appointed December 11th, 1905). Mr. Arthur Balfour, First Lord of the Admiralty, resigns, and is appointed Secretary for Foreign Affairs (see 12th, and May 28th, 1915). Ministry of Labour formed in Great Britain. 12th - Reorganisation of French Government. M. Briand remains Premier. New War Cabinet of five Ministers formed. General Joffre (see December 3rd, 1915) becomes Technical Military Adviser to the War Cabinet. 14th - Dr. von Korber, Austrian Premier, resigns (see 21st, and October 28th). 17th - Greek Government issue warrant for arrest of M. Venizelos on charge of high treason (see August 30th and September 29th, 1916, and June 26th, 1917). 12th - General Nivelle becomes Commander-in-Chief of French Northern and North-Eastern Groups of Armies (see May 15th, 1917). 11th - Battle of the Cerna and Monastir ends (see October 5th). 13th - British operations for the capture of Kut begin (see May 19th, 1916 and January 9th, 1917). 11th - Mr. Arthur Balfour, First Lord of the Admiralty, Great Britain, resigns. 12th - Sir Edward Carson succeeds Mr. Balfour as First Lord of the Admiralty, Great Britain (see 11th, and July 19th, 1917). 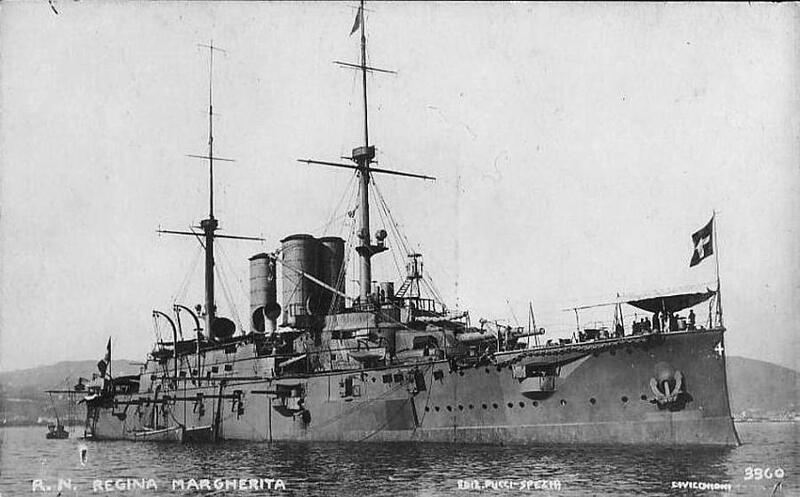 11th - Italian battleship "Regina Margherita" (below - Photo Ships) sunk on Italian minefield. 18th - President Wilson issues Circular Note suggesting negotiations for peace (see 26th). 19th - British Government decide to recognise Government of M. Venizelos (see September 29th). 19th - British Government decide to institute National Service (see November 1st, 1917). 19th - British Government decide to initiate Imperial Conference (see March 20th, 1917). 22nd - Ministry of Food formed in Great Britain (see 26th). Ministry of Pensions formed in Great Britain. 21st - Count Heinrich Clam-Martinitz appointed Austrian Premier (see 14th, and June 18th, 1917). 18th - "First Offensive Battle" of Verdun ends (see October 24th, 1916, and August 20th, 1917). 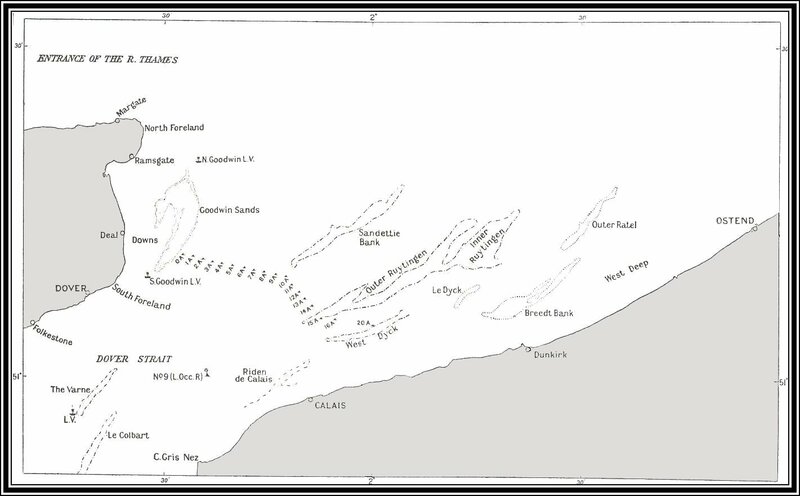 21st - El Arish (Sinai) occupied by British forces (see November 15th). 23rd - Affair of Magdhaba (Sinai). 22nd - Ministry of Shipping formed in Great Britain (see January 27th). 26th - German, Austro-Hungarian and Turkish Governments send reply to President Wilson's Note; immediate meeting of delegates suggested (see 18th, and January 10th, 1917). 30th - Entente Governments reject German peace proposals (see 12th, and January 11th, 1917). 30th - Bulgarian Government reply accepting President Wilson's Note (see 18th, and January 10th, 1917). 26th - General Joffre created Marshal of France (see 12th). 31st - Rasputin murdered in Petrograd. 30th - British and Chinese Governments conclude agreement for employment of Chinese labour in France. 31st - Campaign of the Sudan forces in Darfur comes to an end (see March 1st). 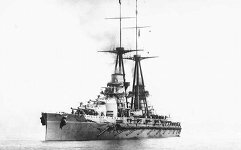 27th - French battleship "Gaulois" (below - Photo Ships) sunk by submarine in the Mediterranean.